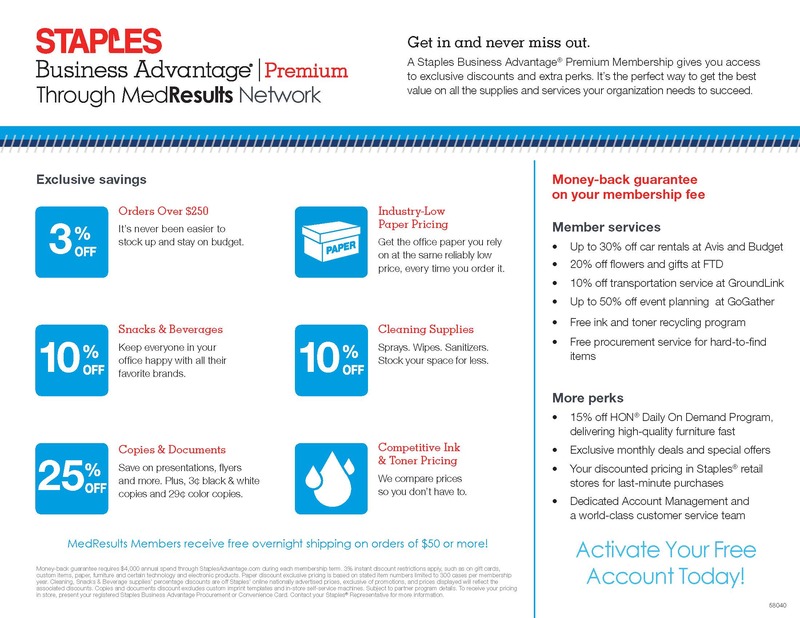 MedResults Network members now have access to improved benefits through Staples Business Advantage Premium. Fill out the form below and we will automatically activate your account and reach out to you with your log-in information. There is NO cost to access these benefits!